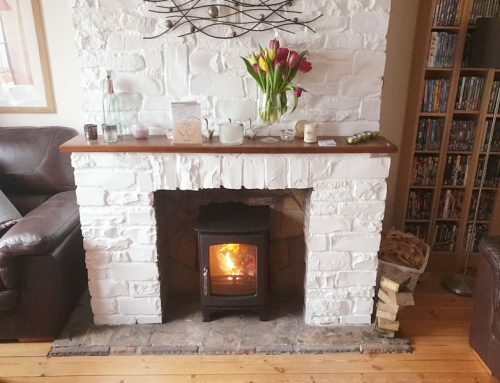 Our client wanted a fresh makeover on their arts and crafts fireplace. 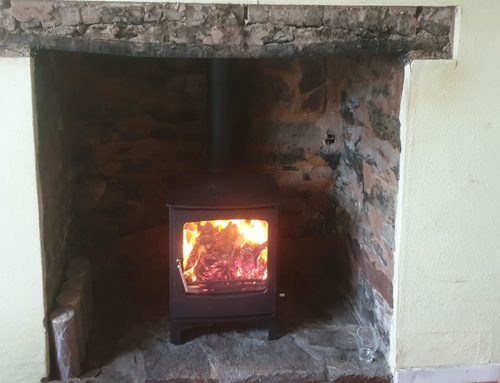 We removed the wood surround and plastered metal beading around recess to form a tidy edge. 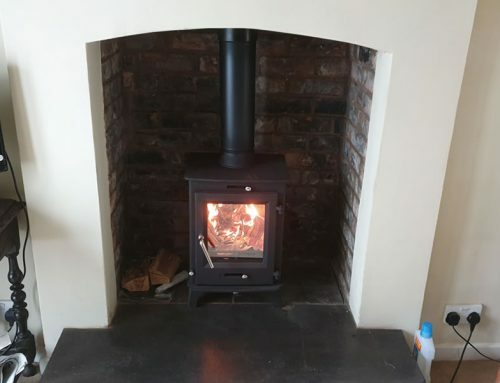 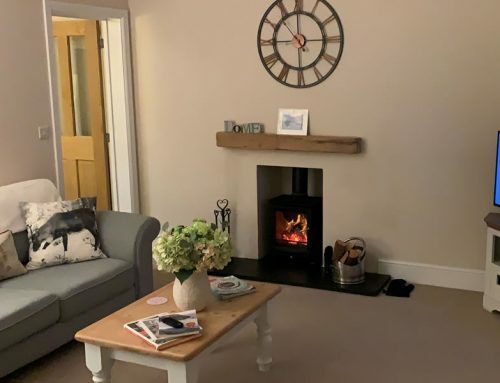 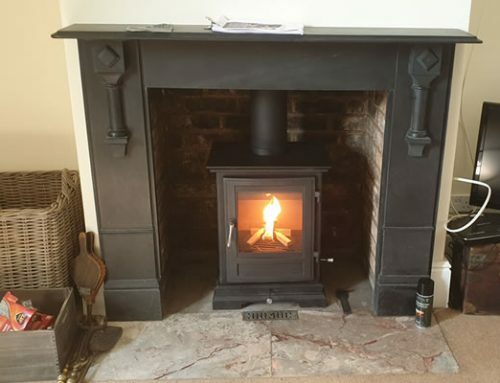 We replaced tiles with slate hearth and added an oak mantel and painted bricks white to complete the look.